From its humble beginnings as a small dairy store founded in 1969, Stew Leonard's has grown to become one of the world's largest dairy store, but one of the most renowned grocery stores. As you shop, see the costumed characters, scheduled entertainment, and animatronics throughout the store. 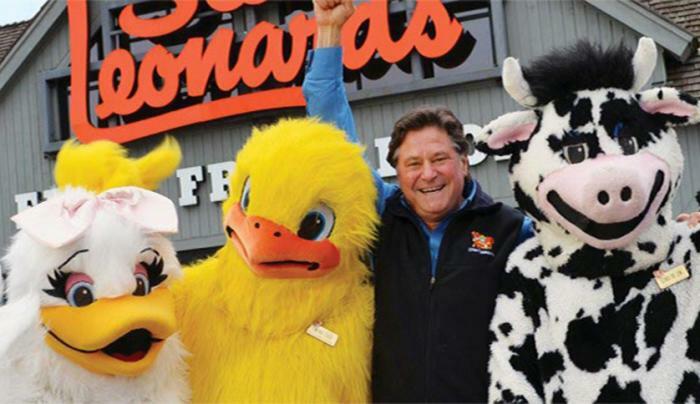 In addition to the headquarters store in Norwalk, Conn., Stew Leonard's has stores in Danbury and Newington, Conn., Yonkers as well as the Farmingdale location, and has plans for a new location in East Meadow, N.Y. The New York Times called Stew Leonard’s “The Disneyland of Dairy Stores” because there’s fun and entertainment around every corner! Costumed characters wave hello, state-of-the-art animatronics entertain the kids while Mom and Dad shop, kids can even pet a lobster! Did you see the upside down cow?